In the week of March 18, the Top Team visited China. 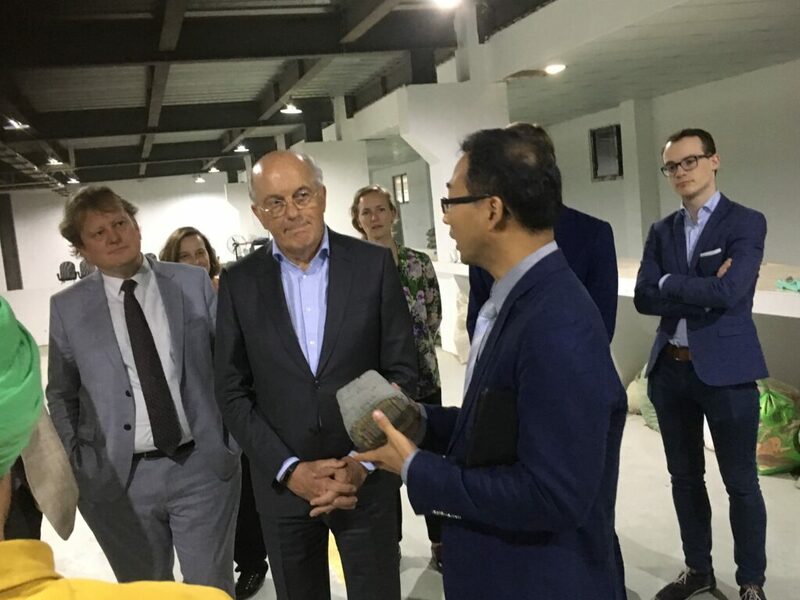 The goal of the visit was: development of a program of cooperation with the Ministry of Science and Technology and an exploration for possible cooperation in the field of recycling of plastics and building materials. Under the program of cooperation they worked out a collaboration between ARC CBBC and a comparable Chinese consortium. The focus is on cooperation in the field of sustainable coatings. Other topics were also explored, including soft advanced materials. The Topteam also explored opportunities for public-private partnerships for recycling materials (plastic, concrete and asphalt). Since the Top Sector is taking the lead in the transition agendas of the circular economy and the present task is huge, it is all hands on deck. Where do we have an impact? Are there technologies in other countries that can make a substantial contribution to CO2 reduction in the short term? Are there new solutions to avoid the “Plastic Soup”? Is it already being designed or built with recycling in mind? Both in Beijing and in Shanghai the Top Team (Pilot) visited factories and spoke to scientists, companies, recycling associations and the relevant authorities. With enough leads in the bag, and convinced of the sense of urgency by Chinese governments, the team returned to the Netherlands. Do you want to know more? Do you see opportunities for yourself? Relevant collaborations with China of which Holland Chemistry should also know about? Contact us via tkichemie@tkichemie.nl. The above visit is part of the new internationalization strategy of the Top Team. The more mission-driven Top Sector policy is used to seize economic opportunities and find solutions for societal challenges. The Strategy Board has indicated that it is necessary to gain insight into which developments we are deploying in the Netherlands and where we can collaborate with our priority countries to achieve our climate objectives in 2030 and 2050 by setting up Public Private Partnerships in the R&D field. The theme of chemical recycling of plastics, concrete and asphalt was taken as a pilot. The opportunities for this are being mapped out in China, Japan, USA and Germany.